Participants will be exposed to the latest thinking in creating and writing ads and skillfully placing them for maximum success in influencing customers. Students will also learn how to manage the relationships between advertising agencies and their clients. 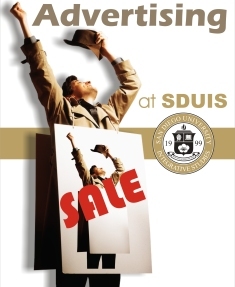 Identified by the US Department of Commerce as one of the fastest growing career fields, SDUIS non-degree Certificate in Advertising will help participants to understand media and markets, learn how corporations communicate effectively, and learn how to effectively manage advertising.It is possible to complete this program in as little as one year. REQUIREMENTS: Participants in this non-degree certificate program must complete 40 units of Advertising coursework consisting of seven (7) classes.